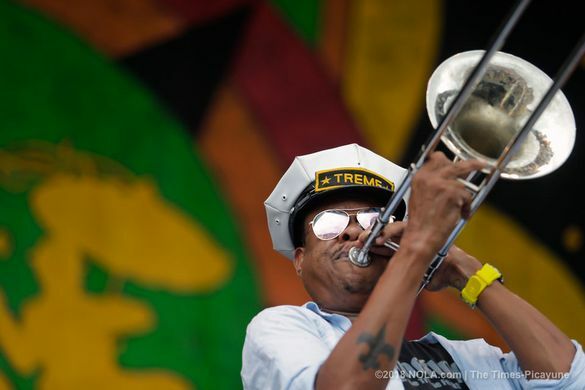 The New Orleans Jazz and Heritage festival, an outdoor extravaganza of music, food and history reaches its golden anniversary in 2019. The Rolling Stones, one of the biggest bands in music history have officially been announced by organisers as headline performers amongst a host of other star names. The band performs on the festival’s second Thursday, 2nd May. The likes of Katy Perry, Tom Jones, Van Morrison and Santana will also be playing at the festival alongside stars of the New Orleans and Louisiana music scene. Numerous local jazz groups, Cajun rhythm and blues bands that embody the iconic sound on New Orleans are appearing across the festival. Resident favourites including Kermit Ruffins, Aaron Neville and Irma Thomas will all be in attendance. The two-weekend festival is one of the premier events of the year in New Orleans, Louisiana. It takes place on the last weekend of April and first weekend of May (25th April – 5th May) at New Orleans Fair Grounds. In honour of its half centenary, the celebrations will kick off a day early (Thursday 25th) with soul legends Earth, Wind & Fire appearing on the opening day. In addition to the wonderful music, the event includes a food fair showcasing over 100 variants of local Louisiana and international delicacies. There is also a craft bazaar featuring the works and creations of numerous regional artists. Tickets go on sale Friday 18th January, with a pre-sale Thursday, for Louisiana residents only, to buy tickets for the Rolling Stones date — Thursday, 2nd May.